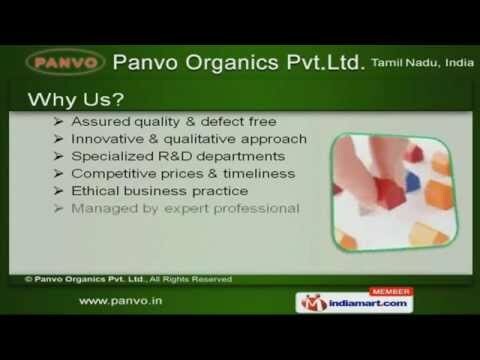 Welcome to Panvo Organics Pvt Ltd. Manufacturer & Exporter of Bulk Neutraceutical, Bio-polymers & Speciality Chemicals. The company was incepted in 2006 at Chennai. Our Hi tech mechanical support & World wide distribution networks have helped us to gain clients across pharmaceutical, chemical & other Industries. We are well known in the market for our Assured quality, Innovative approach, Specialized R& D departments, Competitive prices & timeliness. Our product list includes Glucosamine Hydrochloride, Glucosamine Sulphate Potassium & Sodium Chlorides. N Acetyl Glucosamines & Zinc Carnosines are some of our best selling products. Our Chitosan & Chondroitin Sulphate Sodium are a class apart. We are specialized in offering Methyl Sulfonyl Methane & Calcium Citrate. Along with that we provide Calcium Citrate Malate & Magnesium Citrate. We offer premium grade Potassium Magnesium Citrate & L Methylfolate.